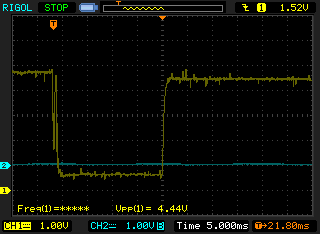 While assembling my new toy - a larger, RepRap-based 3D printer, I experienced strong noise on endstop inputs. Endstops on my machine are pure mechanical switches, and the wires to endstops are in the same cable where wires to stepper motor are (unshielded, of course). 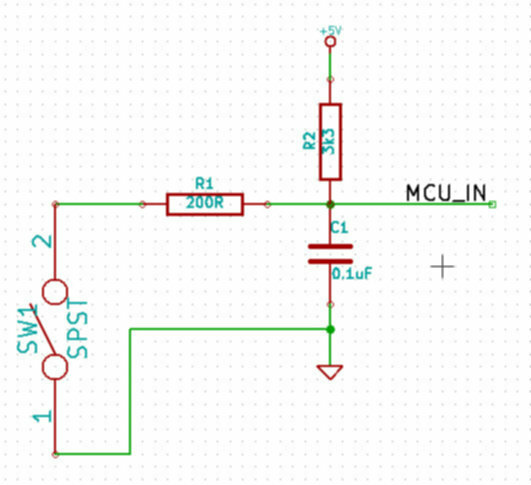 This trace show the moment, when stepper motor, which shares the cable with probed endstop input is engaged. More than 4 volts of noise. Ouch. 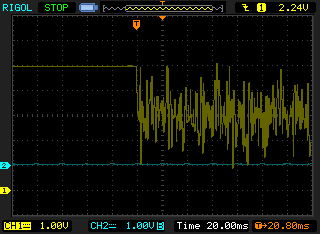 I also wasn't too much surprised, to see that noise consists of mostly 50kHz frequency component- the same frequency stepper motor drivers (Allegro A4988 based) chop their outputs. 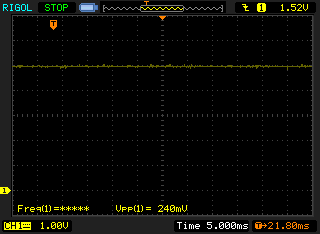 The waveform above shows what happens when axis goes to home position- first the endstop is triggered, and after some delay axis backs up, until the endstop no longer is triggered. 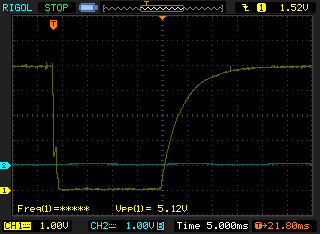 Since that is considered the 0 position for that axis, I wanted the signal to rise faster. 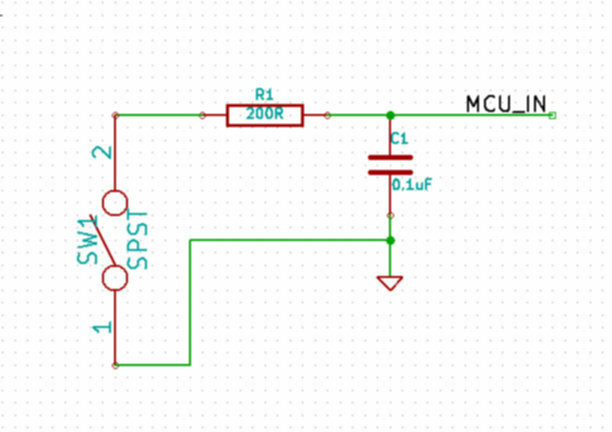 There is significant bouncing while the switch is being closed, but I don't think it does affect anything, since there is a delay after the falling edge, and axis backs up only after the signal is stable.